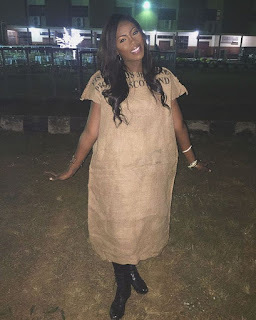 Mavin first Lady Tiwa Savage shared this photo of herself rocking a rice sack outfit has she is set to perform in onelagosfiesta happening in Ikorodu tonight.. The photo above has caused an uproar on instagram! creepy or trashy? ?